'M! Countdown in Taipei' reveals more of its festival lineup! CLC (Hangul: 씨엘씨, short for "CrystaL Clear") is a South Korean girl group formed by Cube Entertainment in 2015. The group consists of seven members: Seunghee, Yujin, Seungyeon, Sorn, Yeeun, Elkie, and Eunbin. Their debut extended play First Love was released on March 19, 2015. CLC originally had five members, with two members added to the group in February 2016. To date, they have released eight EPs, including two Japanese EPs. The five original members of CLC (Seunghee, Yujin, Seungyeon, Sorn and Yeeun) made their first appearance as back-up dancers for G.NA in 2014. They also modeled for the uniform brand Smart, featuring in a promotional music video with the boy groups Got7 and B1A4.Before their official debut, the group began to gain publicity through street performances that raised money for children with disabilities. These featured on their online reality show CLC's Love Chemistry. CLC debuted in 2015 with a five-member lineup of Seunghee, Yujin, Seungyeon, Sorn, and Yeeun. They released their first EP First Love, including the lead single "Pepe", on March 19. Their debut showcase was held the day before at the Acts Hotel in Seoul, where they performed their debut song for the first time. They made their debut music show performance on M Countdown. "Pepe" is a retro dance number written by Duble Sidekick and Yang Geng. Part of the song's choreography was choreographed by Rain. On April 16, CLC released a digital single titled "Eighteen", described as a song about teenage love influenced by 1960s/70s motown and 1980s synthpop. They began promotions for the single the following day on Music Bank. Their second EP Question was released on May 28. Its lead single "Curious (Like)" was first performed on M Countdown. On October 10–11, CLC held their first overseas promotional tour in Malaysia entitled "First Love Promo Tour in Malaysia". For the tour, Universal Music Malaysia released an "Asia Special Edition" version of Question. The special version included tracks from First Love and Question, as well as the digital single "Eighteen". CLC's third EP Refresh and its lead single "High Heels" were released on February 29, 2016. 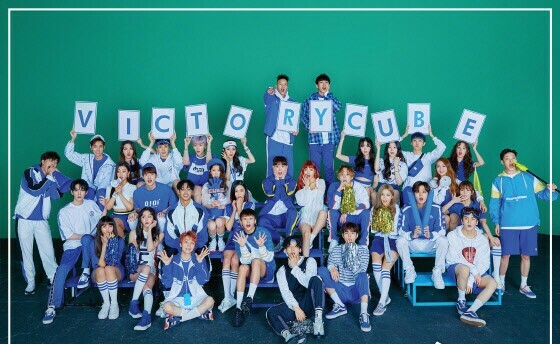 This marked the addition of two new members: Elkie Chong and Kwon Eunbin, a Cube Entertainment trainee who was also participating in Mnet's girl group survival show Produce 101 at the time. Cube Entertainment stated that Eunbin had been part of the group's original lineup, but was dropped following delays in production of the group's debut album. Due to Produce 101 contractual restrictions, Eunbin was not able to promote the single "High Heels" on music shows or other broadcasts, nor appear in the single's music video. The agency planned for Eunbin to join promotions in the event that she was eliminated from the show, or else to postpone her activities as part of the group until after Produce 101 promotions if she was a winner.] On February 29, a short version of the "High Heels" music video that included Elkie but omitted Eunbin was released. The full version of the music video, including Eunbin, was released on March 21. CLC made their Japanese debut on April 13 with the release of their first Japanese EP, High Heels. The album includes the Japanese version of "Pepe", "First Love", "Like", "High Heels", and a cover of Kylie Minogue's "I Should Be So Lucky". On May 12, CLC launched their official Naver V App channel, followed by a broadcast of Eunbin's first live appearance with the group. The group released their fourth Korean EP Nu.Clear on May 30, with the title track "No Oh Oh" written by Shinsadong Tiger. CLC carried out album promotions as a seven-member group in June. On July 27, CLC released their second Japanese EP, Chamisma. The EP peaked at #9 on the Oricon Daily Albums Chart, making it their first release to enter the Top 10 of the Oricon chart. On January 9, CLC held their first solo Japan fanmeeting at Tower Records in Tokyo. On January 17, 2017, CLC released their fifth Korean EP, Crystyle. It marked a revamped image for the group, with a more charismatic, hip-hop concept. The EP contains six tracks including the EDM/trap lead single "Hobgoblin" (도깨비), which was co-written by Seo Jae-woo, Big Sancho, Son Yeong-jin, and HyunA. Crystyle debuted on Billboard's World Albums chart at #6, while "Hobgoblin" peaked at #4 on the World Digital Song Sales chart. On May 27, the group held the first fan-meeting for their fan-club, Cheshire, "2017 Cheshire Entrance Ceremony". It took place in the Olympic Hall Muse Live in Seoul. CLC released their sixth EP, Free'sm on August 3. The album title is portmanteau upon the words "prism" and "free", which describes the group's musical and conceptual direction for this EP. The album is inspired by 1990's girl groups Fin.K.L and S.E.S.. It consists of six tracks including the R&B ballad lead single "Where Are You?" (어디야?). This was another new image for the group, contrasting with the group's previous concept with "Hobgoblin".